Please review our Privacy Notice, which also governs your visit to rilonwelding.com, to understand our practices. The personal information / data provided to us by you during the course of usage of rilonwelding.com will be treated as strictly confidential and in accordance with the Privacy Notice and applicable laws and regulations. If you object to your information being transferred or used, please do not use the website. BY USING THE WEBSITE, YOU AGREE TO THE TERMS AND CONDITIONS OF THIS POLICY. IF YOU DO NOT AGREE WITH THE TERMS AND CONDITIONS OF THIS POLICY, PLEASE DO NOT PROCEED FURTHER TO USE THIS WEBSITE. You may need to provide rilonwelding.com Your Personal Information during the course of using some services of the rilonwelding.com, for instance, creating a User ID, provide information in Your account while registering on the Website, or provide financial information while making an online purchase, upload content, participate in any online survey or contest, communicate with rilonwelding.com customer service by phone, email or otherwise, provide reviews for the content available on the Website. rilonwelding.com collects only such Personal Information that rilonwelding.com believes to be relevant and is required to understand You or Your interests. rilonwelding.com collects Your Personal Information in order to record, support and facilitate Your participation in the activities You select, track Your preferences, to provide You with a customized Website experience, to notify You of any updated information and new activities and other related functions offered by rilonwelding.com, keep You informed about latest content available on the Website, special offers, and other products and services of rilonwelding.com, to assist You with customer service or technical support issues, to follow up with You after Your visit, to otherwise support Your relationship with rilonwelding.com or to prevent fraud and unlawful use. In an effort to make our Website effective, certain information may be collected each time you visit the Website. Such information may be stored in server logs. These encrypted statistics do not identify you personally, but provide us the information regarding your visit to the Website and the type of user who is accessing our Website and certain browsing activities by You. This data may include: IP address of Your server from where the Website is being accessed, the type of browser (Internet Explorer, Firefox, Opera, Google Chrome etc. ), the operating system of Your system and the Website You last visited before visiting to our Website. The duration of Your stay on our Website is also stored in the session along with the date and time of your access. These data are used by rilonwelding.com to understand the use and number of user visiting the Website. Some of the information related to the Website and Your visit to the Website may be shared by the sponsors, investors, advertisers, developer, strategic business partners of rilonwelding.com and some associates in order to enhance and grow our business and the Website but we assure that these information will never include any of Your Personal Information's. This anonymous information is collected through the use of a pixel tag, which is industry standard technology used by most major Websites. 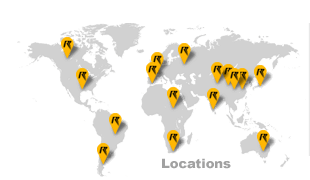 When You use the Website, rilonwelding.com servers (which may be hosted by a third party service provider) may collect information indirectly and automatically about Your activities on the Website; for instance by way of cookies. A cookie is a small amount of data that is sent to a user's browser from a web server and is eventually stored on a user's computer hard drive. This anonymous information is maintained distinctly and is not linked to the Personal Information You submit to rilonwelding.com. rilonwelding.com also uses the log file like other website servers which is the standard measures. They include E-Commerce (EC) addresses, browser type, referring/exit pages, platform type, date/time stamp, and number of clicks. We use them to analyse trends, administer the site, track a user's movement and gather broad demographic information for aggregate use. IP addresses, etc. are not linked to personally identifiable information.